Summary: Of the five drivers who went into the final race meeting still in with a shot at the championship, MG KX Momentum Racing’s Jason Plato was the furthest adrift, 49 points behind eventual champion Andrew Jordan. Something of a specialist around Brands Hatch, Plato drove brilliantly to secure pole position and take wins in races one and two. Despite coming tantalisingly close to stealing the title at the last moment from Jordan, who suffered his first DNF of the season in race two to keep the championship race alive, the Pirtek Racing driver was able to do enough to keep his rivals at bay and claim his first BTCC crown. Plato said before the finale weekend that Snetterton was ‘the one that got away’ – his biggest moment in 2013 that he failed to capitalise on a good opportunity. Certainly things were looking good for the MG squad going into the weekend. Plato and team-mate Sam Tordoff had been fastest in the mid-season Dunlop Tyre test at the same circuit, and it was a front-row lockout for the team cars during qualifying. Plato scored a solid second in the opening contest while Tordoff took his maiden win, but in race two he upped his game and took the initiative to lead early on. Pulling out more than a second on the chasing pack in just the first lap, Plato looked set for his fifth win of the season, but following a short safety car period, Plato slowed in the penultimate corner and retired to the pits with a mechanical issue. The DNF sent the double champion to the back of the grid for race three, although with the pace shown in the earlier races it still looked possible that he could salvage some decent points. The thrilling day was, however, to take another downward turn for Plato, as on the very first lap of the contest he found himself careering across the circuit, into the barrier and into a dramatic barrel roll. While Plato was upside-down and out of the race, his main championship rivals capitalised with both Jordan and Gordon Shedden taking wins while Plato scored no points. 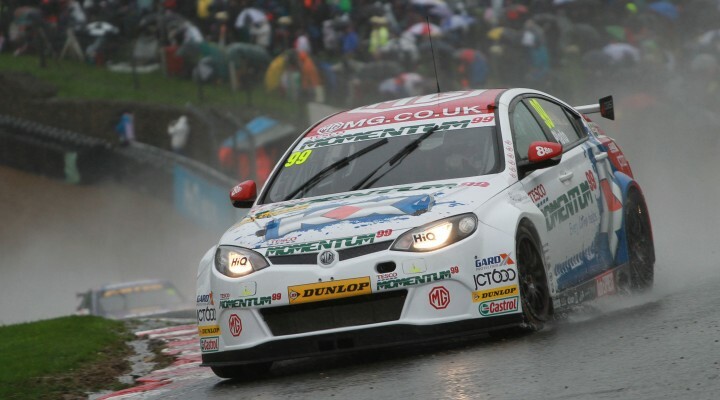 Despite his valiant efforts at Brands Hatch, Plato ended the season third in the championship having closed the gap to Jordan from 49 points to just 17 over the course of the weekend.